Lauren-Brooke Eisen on her book about for-profit incarceration, Inside Private Prisons. Private prisons were billed as a way to bring innovation to incarceration, housing more prisoners for less money. They’ve failed. 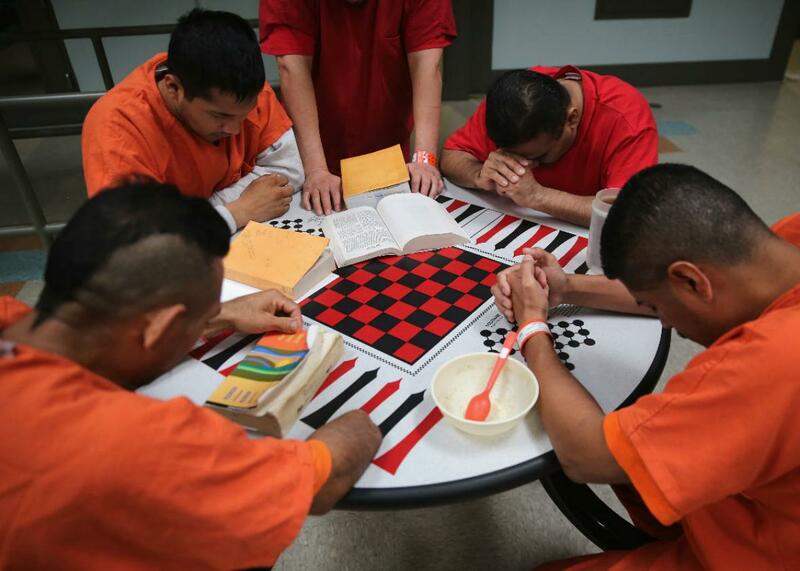 Immigrant detainees pray at the privately run Adelanto Detention Facility on Nov. 15, 2013, in Adelanto, California. As America’s prison population surged in the ’80s and ’90s, private prisons were billed as the solution. They were supposed to bring innovations to incarceration and save tax dollars. But as criminal justice expert Lauren-Brooke Eisen tells us, private prisons are no more cost-effective, and the corporations behind them operate in secrecy. Eisen’s book is Inside Private Prisons. In the Spiel, Mike skewers the Republican tax plan.